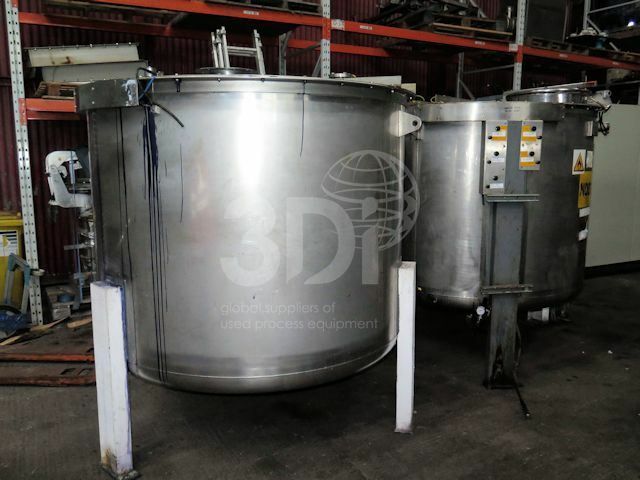 Used 2,400 Litre 316 Stainless Steel Storage Tank, manufactured by Northern Fabrications. Orientation: vertical, cylindrical, flat top, dished bottom on legs. Dimensions: 1520mm diameter, 1200mm on the straight, 150mm bottom dish, 1900mm overall height. Connections: (1) 460mm top manway. Previously used on chemicals.